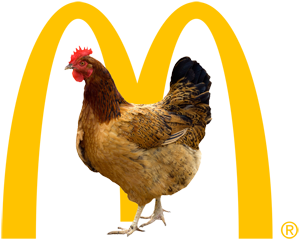 Recently McDonald's announced that by 2016 they will use only chicken raised without the antibiotics that are used in human medicine. McDonald's plans to join Chick-fil-A, Panera Bread, Chiptotle, and Whole Foods in the move towards removing antibiotics in the food that we consume in order to decrease antibiotic-resistant diseases in humans. What will the effects be on costs at the restaurant, costs in the supermarket and the cost and changes required of farm production? Does this seem like a good move? Why? Do the math! ← Can you predict the Bears’ 2015 schedule and win big?